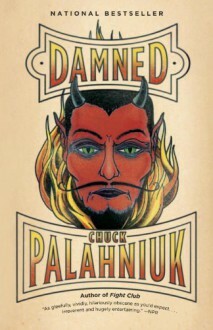 From the author of Fight Club, comes a dark, irreverent, hilarious, and brilliant satire about adolescence, Hell, and the Devil. Madison is the thirteen-year-old daughter of a narcissistic film star and a billionaire. Abandoned at her Swiss boarding school over Christmas, she dies over the holiday, presumably of a marijuana overdose. The last thing she remembers is getting into a town car and falling asleep. Then she's waking up in Hell. Literally. Madison soon finds that she shares a cell with a motley crew of young sinners: a cheerleader, a jock, a nerd, and a punk rocker, united by their doomed fate, like an afterschool detention for the damned. Together they form an odd coalition and march across the unspeakable landscape of Hell--full of used diapers, dandruff, WiFi blackout spots, evil historical figures, and one horrific call center--to confront the Devil himself.